(Washington, D.C., November 17, 2016). 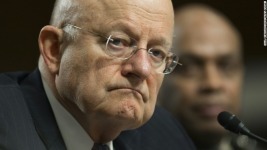 This morning James Clapper, the Director of National Intelligence, who perjured himself before Congress by testifying under oath that the National Security (NSA) and other intelligence agencies such as the Central Intelligence Agency (CIA) were not collecting massive amounts of telephonic and internet metadata on hundreds of millions of innocent American citizens, finally resigned from his post. "There is likely an untold story about this apparently forced resignation. 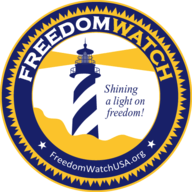 Notwithstanding that Freedom Watch, our clients and I succeeded in filing suit against the NSA for the unconstitutional Fourth Amendment violations involved, and obtained two preliminary injunctions in the last three years after the revelations of Edward Snowden, a client of Freedom Watch, Dennis Montgomery, a former NSA/CIA contractor, had during this time come forward to FBI Director James Comey and his staff and disclosed that Clapper has been involved in additional massive illegal spying on hundreds of judges, including the chief justice of the United States Supreme Court, prominent businessmen and tens of thousands of others. Montgomery received immunity to come forward to the FBI, and he turned over and testified about scores of hard drives he turned over showing Clapper's involvement in large part with the illegal spying, that has the potential for coercion and blackmail. "The investigation by the FBI is ongoing and likely contributed to Clapper's surprise resignation today, along with the suits brought by Freedom Watch where DC federal judge Richard J. Leon found that Clapper's secret massive collection of telephonic metadata on hundreds of millions of Americans was violative of the Constitution. These rulings caused the Congress to enact the USA Freedom Act."